This group is for all the startup lovers who want to get their hands dirty and build amazing scalable companies. Featuring talks by brilliant entrepreneurs coming from all over the world, these events are meant to provide insights and actionable advice across all areas of entrepreneurship - culture, fundraising, hiring, strategy, growth, and more! Each talk is followed by a cocktail to give you a chance to meet other ambitious founders. 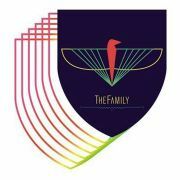 The Family is an organisation that empowers entrepreneurs through education, unfair advantages, and capital. Launched 3 years ago in France, The Family is growing its infrastructure across Europe, supporting a portfolio of 260 promising startups.